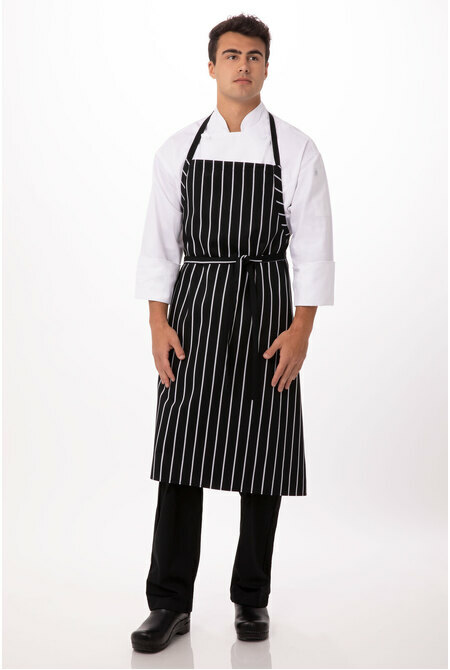 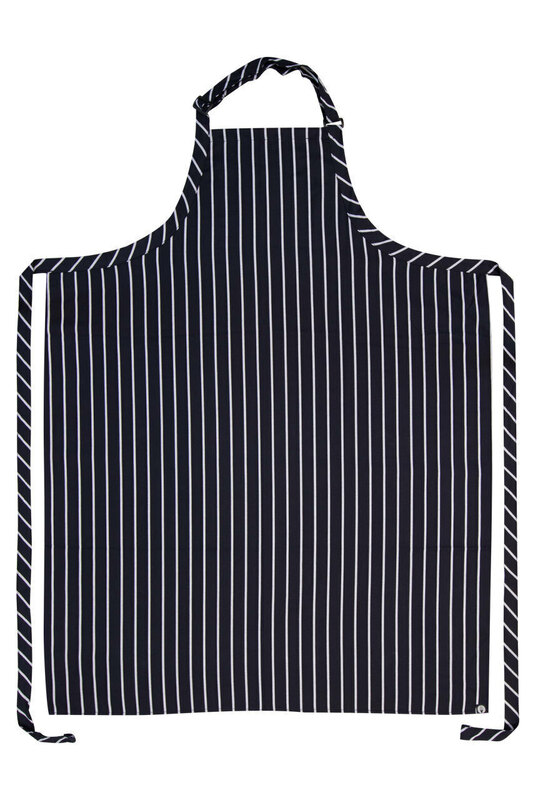 Our Large Bib Apron is what every chef has been waiting for. 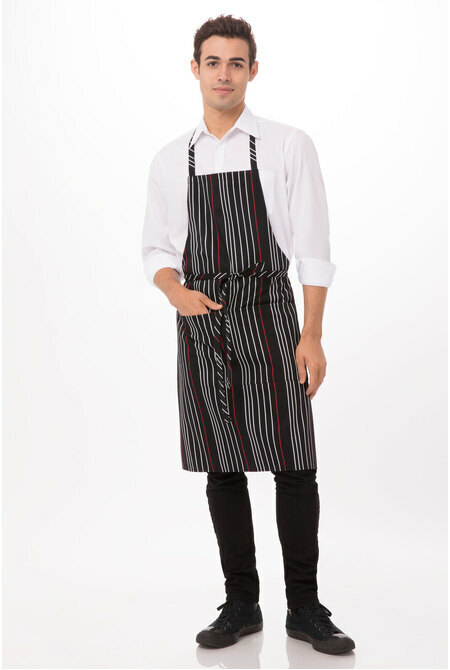 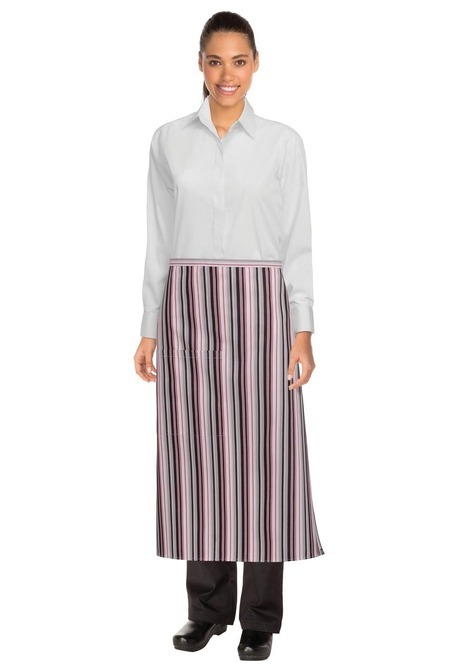 This colossal apron stretches wider horizontally than any other in our respected collection providing the ultimate protection from spills and grim. 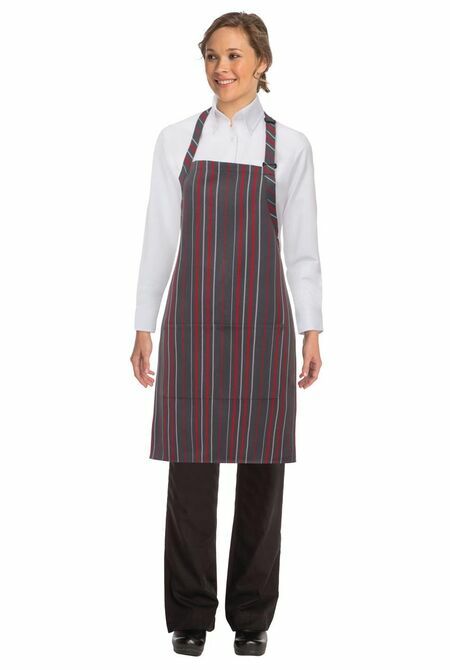 Made with a thicker, adjustable neck strap and wider ties which wrap entirely around the waist, it delivers both comfort and stability. 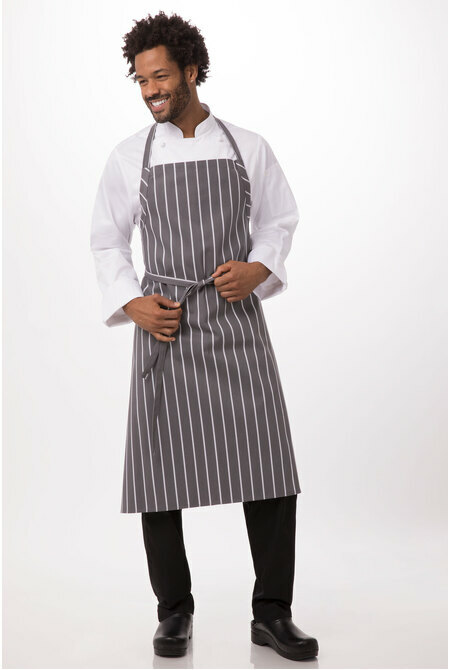 It's carefully selected poly-viscoe fabric supplies durability and strength against heavy daily usage. 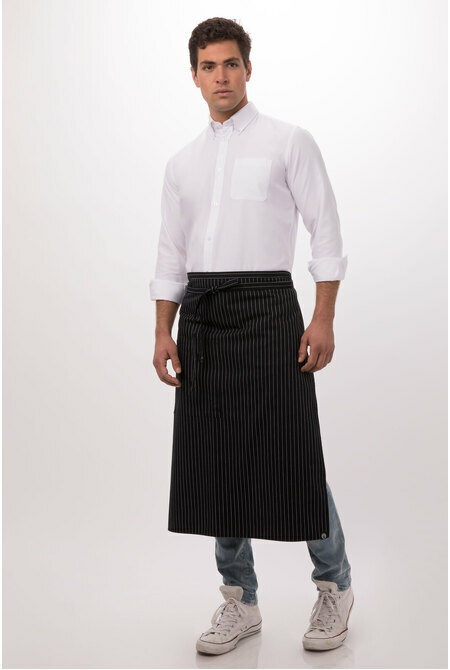 Visually, it goes without saying that its modest style is professional and refined.